"Are you trying to tell me that she may never accept you as her husband?" asked a furious Anirudh. Amar chuckled at his cousin's anger and answered "It's not her fault. Your mother, my beloved aunt, forced her into marrying me. Remember?" "Forced weddings can be annulled. Our constitution says so" said Anirudh. "But my wife doesn't say so. She wants to give our relationship a chance and I promised her my complete support and cooperation" explained Amar. "So, the world famous business tycoon, Amar Pratap Devaraju, with unbelievable female fan following is being friendzoned by his own wife" said Anirudh. And they burst out laughing. *** Vennela Dhanunjaya's blissful life turned upside down when she was asked to wed her cousin's fiance. Rejecting the proposal would lead to huge loss in business. Accepting the proposal would result in an unhappy marriage. "I shall marry him but he will not be my husband unless I start liking him genuinely. Until then, he shall be a friend and nothing more." She decides. Join Amar and Vennela in their humorous yet soulful journey while their cousins take turns to play cupid and unite them. 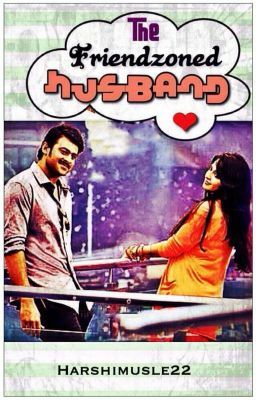 Highest Ranking : #7 in Romance, #1 in Business, #1 in Prabhas, #1 in Pranushka Cover by: Rinii.